Take the "initiative" and you will see it all at the next district chess tournament. Try our Chess Medallions and see the competition rise to win a gold, silver or bronze Chess Medal. 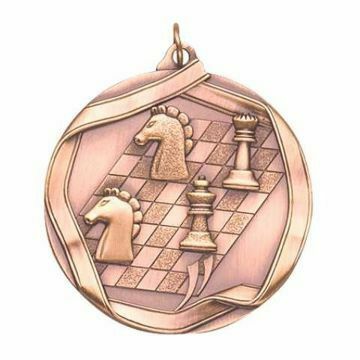 All custom medals include engraving and choice of ribbon color.